This International Nurses Day (12 May), we’re celebrating the remarkable contributions that nurses make to society and saying thank you to all the nurses in the world who work around the clock to deliver exceptional patient care. Here at Neuro Central, we’ve taken the opportunity to feature ‘A Day in the Life of…’ interviews by speaking with neuroscience nurses from across the field. We wanted to find out what a typical day of a neuroscience nurse involves, what inspired them to become a nurse and what advice they would give to future students considering a nursing career. In our first interview, we had the pleasure of speaking to Ismalia de Sousa, a clinical nurse specialist (CNS) in stroke in a London NHS Hospital (UK). Ismalia is also on the steering committee for the Royal College of Nursing (London, UK) in the Neuroscience Forum. 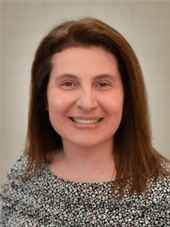 She qualified as a general nurse in Portugal in 2009, which sparked us to ask how her education and training led to her interest in becoming a CNS in the stroke field. 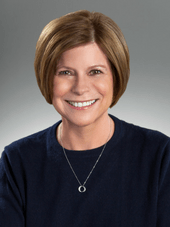 Our second interview featured Michelle VanDemark, who is a neurocritical care nurse practitioner at Sanford USD Medical Center (SD, USA) and is the current President of the American Association of Neuroscience Nurses (IL, USA). We were intrigued to learn more about the colleagues who inspired her, including Linda Arsenault (Dartmouth-Hitchcock, NH, USA) and Twyila Lay (University of California, San Francisco, CA, USA), as well as how she achieves that balance between work and family. 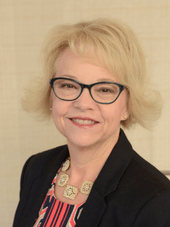 Lynn Hundley, who is a neuroscience CNS and current President of the Agnes Marshall Walker Foundation (IL, USA), was featured in our third interview of the series. Lynn also spoke to us about the colleagues she’s inspired by, which included DaiWai Olson (University of Texas Southwestern Medical Center, TX, USA) and Mary Kay Bader (Mission Hospital, CA, USA). She also expressed what aspirations she has for the field of neuroscience nursing and what could be changed or developed in 10 years’ time. The last interview in our series introduced Suzy Walter, who is a certified family nurse practitioner in the Department of Pediatric Neurology at West Virginia University (WV, USA). Suzy is also a Trustee on the American Board of Neuroscience Nursing (ABNN; IL, USA). We wanted to find out more about the ABNN certifications for CNRN® and SCRN® and why it’s important to become certified in the field. On a personal note, I hope you’ll enjoy this series of exclusive interviews with our featured nurses, and to all of the nurses working extremely hard today and always, Happy International Nurses Day from us all at Neuro Central!